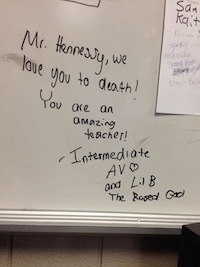 I started teaching at the age of 11. My mother had to start working and told me to watch my 4-year old brother. Since he had to follow me around, I started explaining things to him. This continued until I left for collge at 17. In my sophomore year at Loyola University, New Orleans, I learned video editing on 3/4 U-matic and 1" open reel systems. 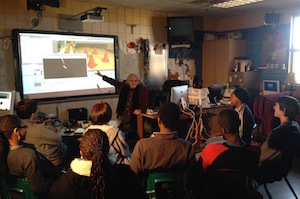 I soon began explaining the process to my fellow students. One day I heard another communications student say to another, "Just go to class, but get Hennessy to explain it to you later." I worked in Broadcasting for a short time, then decided to return to college to become a history / social studies teacher. Landing my first teaching job at Spirit Creek Middle School, the instructional part was easy, the classroom management was a challenge. 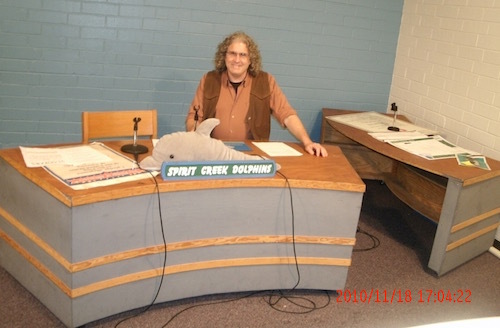 In 1990, my two areas of knowledge, Broadcasting and Teaching, came together in my second year of teaching, when I co-founded Richmond County's first live, daily student produced newscast, "Good Morning Spirit Creek". Several of the students from those early years now earn their livings in the broadcast news field. 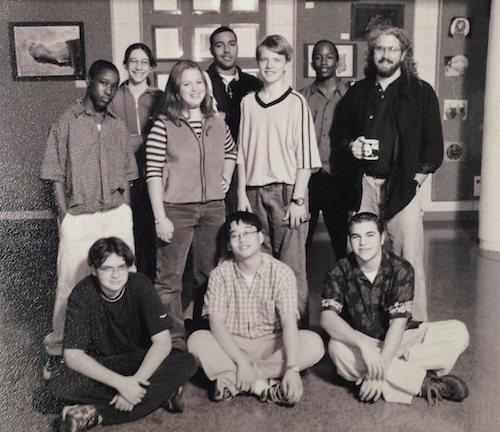 In 1996, I started Richmond County's first live daily student produced newscast at A.R. Johnson Health Sciences and Engineer Magnet School, where I started teaching Economics. The following year, the County created a job for me teaching Broadcasting and Film full time at the John S. Davidson Fine Arts Magnet School. I teach there to this day.